A convenient way to bring glasses of beverages, mugs of hot tea or coffee, or bowls of snacks to the table, this Elements Natural Wood Tray with Rope Handles adds a touch of classic style to your home. 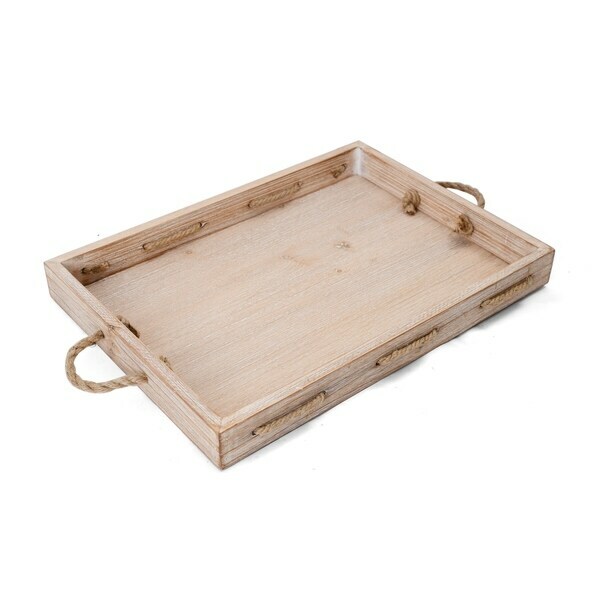 Made of wood with high side walls to keep items on the tray, it features sturdy rope carrying handles. Avoid letting food make direct contact. Measures 19 x 13-3/4 x 2 inches. Wipe clean with a damp cloth. Dimensions 19.0 In. X 13.75 In. X 2.02 In.